Wall thermostats and remote control options make the automatic operation even easier – set and maintain a constant temperature in your home for many hours without reloading. Heats up to 2,250 sq. 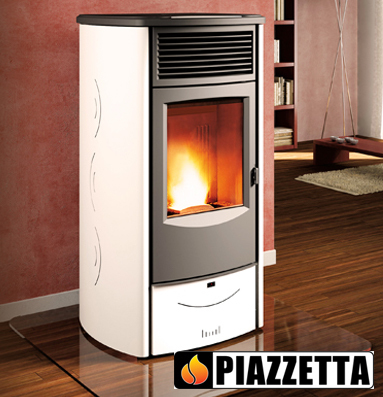 ft.
Piazzetta SC pellet stoves feature high heat output to keep your home comfortably warm plus all the benefits of an ecological and cost-effective fuel. 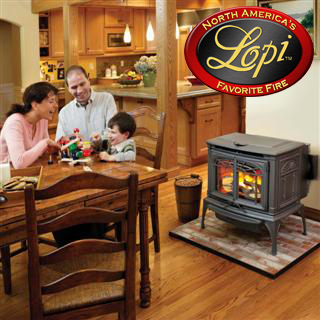 The PC45 is a state-of-the-art, environmentally-friendly stove. Its engine is specifically designed to deliver powerful heat levels using corn. A different burn pot can also be swapped out to burn pellets-all without tools. Stretch your dollar with this flexible heating option.